C and E Pest Control has invited you to join Twitter! What do you think of Kanye Scarf? 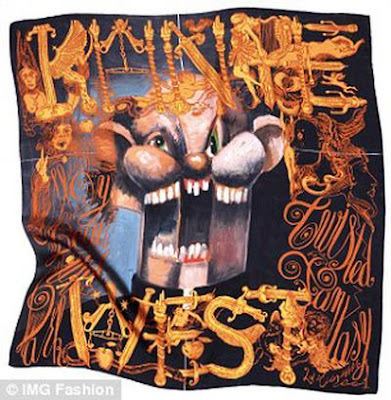 Known for his sense of fashion, Kanye West has has commissioned a line of scarves in collaboration with French design partnership M/M (Paris). During the creative process, M/M (Paris) created a series of hand drawn ornamented frames to adorn the Condo paintings. The design team decided to use the most striking combinations of the paintings and the frames, and transform them into silk scarves. Only 100 of each were made, they will retail for $364. 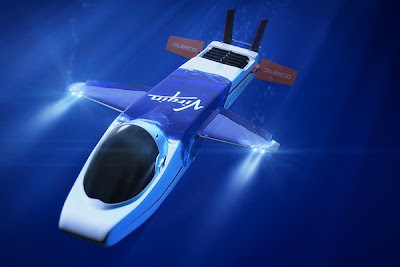 Sir Richard Branson may have already branded his Necker Nymph aero submarine with the "Virgin Oceanic" moniker, but he's now finally taken things to the next logical (and ambitious) step. He's just announced a new, full-fledged venture of the same name, which promises to do to nothing short of dive to the deepest part of each of the Earth's five oceans -- all within the next two years, no less. That will be done with the one-manned sub pictured above, which was designed by Graham Hawkes and will be piloted by Chris Welsh on its first dive to the bottom of the Mariana Trench later this year -- those two are Branson's partners in the venture, and Branson himself is set to pilot the sub on its second mission to the Puerto Rico Trench. Not surprisingly, one of the team's goals is to set a few world records, but they're also planning to conduct some scientific research along the way, and are already musing about future vehicles that could collect samples and allow for more extensive research. Head on past the break for a teaser video, although we're told it should not be assumed to reflect an actual mission. Studio Life: Big K.R.I.T. Album Listening Party for "Return of 4Eva" from 3 Little Digs on Vimeo.